It is a widely accepted opinion in modern theology that in the so-called … nature religions (as well as in the non-theistic higher religions) worship (and a liturgy) is focused on the cosmos. While in the Old Testament and Christianity … the orientation is toward history. Islam (like post-biblical Judaism) is familiar only with a liturgy of the Word, which is shaped and ordered by the revelation that took place in history (though, in line with the universal tendency of that revelation) it is definitely meant to have a significance for the world as a whole. The idea of worship being either cosmic or historical is not entirely unfounded, but it is false when it leads to an exclusive opposition. It underestimates the sense of history to be found even in the nature religions … and it narrows the meaning of Christian worship of God … forgetting that faith in redemption cannot be separated from faith in the Creator. In my current reflections, I hope we shall discover just how important this question of salvific history is, even for the apparent externals of liturgical celebration. I will try to explain what I am saying in several degrees. In the religions of the world, cult and cosmos are always closely bound up with one another. The worship of the gods is never just a kind of act of socialization on the part of the community (as so many think going to Mass (or going to services) is … through the affirmation, through symbols, of its social organization. The commonly held idea is: that worship involves a circular movement of giving and receiving. The gods sustain the world … while men (by their cultic gifts) feed and sustain the gods. The circle of being has two parts: the power of the gods supporting the world; but also, the gift of men … which provides for the gods out of the world’s resources. This leads to the idea that man was in fact created in order to sustain the gods and to be an essential link in the circular chain of the universe. However naive this may seem, it reveals a profound intuition into the meaning of human existence. This lesson is (kind of) seen in today’s Gospel. Jesus speaks of the Kingdom of God being like that of a wealthy landowner who seeks laborers to harvest the crops. The laborers come and work hard and at the end of the day receives a day pay from the master. Man exists for God, and thus he serves the whole. Of course, distortion and abuse also lurk behind the door: man somehow has power over the gods; in some small way, in his relationship to them, he has the key to reality in his hand. The gods need him, but, of course, he also needs them. Should he abuse his power, he would do harm to the gods, but he would also destroy himself. In the Old Testament’s account of creation (cf. Gen 1:1-2:4) these views are certainly discernible but at the same time transformed. Creation moves toward the Sabbath, to the day on which man and the whole created order participates in God’s rest, in His freedom. Nothing is said directly about worship, still less about the Creator needing the gifts of men. Yet, we are assured that God is not a forgetful God. He is fair … “’My friend, I am not cheating you. Did you not agree with me for the usual daily wage? Take what is yours and go. What if I wish to give this last one the same as you? 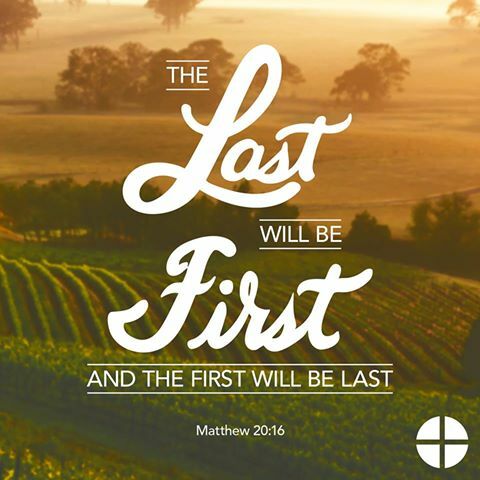 Thus, the last will be first, and the first will be last.” But … in the end we all will be given what is justly ours in building His Kingdom … on earth as it is in Heaven. This entry was posted in Reflections and tagged Catholic, Church, Hoven, Old Testament, South Dakota. So we come to a final reflection concerning a salvific historical approach in understanding worship. Man himself cannot simply “make” worship. If God does not reveal Himself, man is clutching empty space. If you remember a few weeks ago…Moses says to Pharaoh: “We do not know with what we must serve the Lord” (cf. Ex 10:26). These words display a fundamental law of all liturgy. When God does not reveal Himself, man can, of course, from the sense of God within him, build altars “to the unknown god” (cf. Acts 17:23). He can reach out toward God in his thinking and try to feel his way toward Him. But real liturgy (the liturgy God wants…in other words… perfect liturgy) implies that God responds and reveals how we can worship Him. In any form, liturgy includes some kind of “institution”. It cannot spring from imagination, our own creativity—then it would remain just a cry in the dark or mere self-affirmation. Liturgy implies a real (perfect) relationship with Another, Who reveals Himself to us and gives our existence a new direction. In the Old Testament there is a series of very impressive testimonies to the truth that the liturgy is not a matter of “what you please”. Nowhere is this more dramatically evident than in the narrative of the golden calf (by the way…for the farmers and ranchers out there that know the significant difference…strictly speaking, a “bull calf”). The misdirected worship conducted by the high priest Aaron is not meant to serve any of the false gods of the heathen. The apostasy is more subtle. There is no obvious turning away from God to the false gods. Outwardly, the people remain completely attached to the same God. They want to glorify the God Who led Israel out of Egypt and believe that they may very properly represent his mysterious power in the image of a bull calf. Everything seems to be in order. Presumably even the ritual is in complete conformity to the rubrics. And yet it is a falling away from the worship of God…to idolatry. This apostasy, which outwardly is scarcely perceptible, has two causes. First, there is a violation of the prohibition of images. The people cannot cope with the invisible, remote and mysterious God. They want to bring Him down into their own world, into what they can see and understand. Worship is no longer going up to God, but drawing God down into one’s own world. He must be there when He is needed…and He must be the kind of God that is needed. Man is using God, and in reality, even if it is not outwardly discernible, he is placing himself above God. This gives us a clue to the second point. The worship of the golden calf is a self-generated worship. When Moses stays away for too long…and God himself becomes inaccessible…the people just fetch Him back. Worship becomes a feast that the community gives itself, a festival of self-affirmation. Instead of being worship of God…it becomes a circle closed in on itself: eating, drinking, and making merry. The dance around the golden calf is an image of this self-seeking worship. It is a kind of banal self-gratification. The narrative of the golden calf is a warning about any kind of self-initiated and self-seeking worship. Ultimately, it is no longer concerned with God…but with giving oneself a nice little alternative world, manufactured from one’s own resources. Then liturgy really does become pointless, just fooling around. Or, still worse it becomes an apostasy from the living God, an apostasy in pious disguise. All that is left in the end is frustration, a feeling of emptiness. There is no experience of that liberation which always takes place when man encounters the living God. This entry was posted in Believe, Father Kevin and tagged Catholic, Church, Hoven, South Dakota, St. Anthony of Padua. Next week, we as a society honor the fathers who do so much (and like St. Joseph, himself) are given little fanfare. This year, in your celebrations, remember the new fathers that are not so well known to many: Father Joseph Scholten, Father Brian Eckrich, Father Andrew Thuringer, Father Tyler Mattson, Father Timothy Smith and Father Thomas Hartman (and Father … to be…God willing…Rev. Mr. Patrick Grode). Let us take a moment this week to prepare for next Sunday’s celebrations! Let’s not just think about our fathers for just one moment for one day this year. At the Masses this weekend we will offer a special blessing to our fathers, grandfathers, godfathers, and all who offer us paternal love and care. They protect us, provide for us and support us often in many unappreciated ways. It is sad that all too often their holy vocation is depicted so disparagingly in sit-coms, movies, etc. Far from being bumbling dolts…our fathers are so often a great source of thoughtful advice, lived experience and compassionate encouragement. They are often faithful, quiet examples of hard work and loving dedication. We are deeply grateful for them and we ask our Heavenly Father to bless them this day. There is a hymn in the missalette that always makes me pause on the greatness of the vocation of father’s as we think of the father of Jesus – St. Joseph (often thought of as the “forgotten” saint): “… And Joesph’s love make ‘father’, To be, for Christ, God’s Name”. (ref: By All Your Saints Still Striving) May, God our Heavenly Father, keep all our fathers close and blessed as they reflect His (often unspoken) Love. 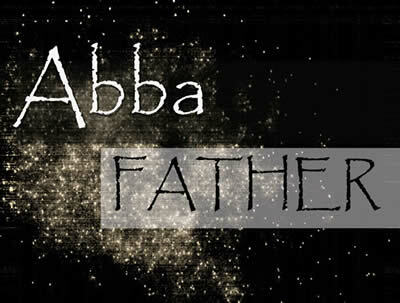 This entry was posted in Believe, Father Kevin, Reflections and tagged Abba, Catholic Church, Father, Father's Day, Hoven, Jesus, South Dakota. When you think about it, those we love do dwell within us. They are an intimate and intricate part of who we are. They are always in our hearts that are filled with love for them expressed in our concern, goodness, gratitude, humility, sacrifices, mercy, and generosity. In this Gospel passage Jesus expressed what was going to happen when He died and rose from the dead. Our inheritance from Him is the gift of Himself, the Father, and Holy Spirit dwelling within us. How does this inheritance affect our lives? The more we “use” our inheritance from Jesus, the more we recognize the gift of peace that He also promises in today’s Gospel: “Peace I leave with you; my peace I give to you.” This is the peace we long for as individuals, families, communities, nations, and worldwide. Human efforts have helped us to defeat the countless powers that seek to separate us from God and one another (just ask a faith-filled veteran). Yet still, in all too many places around the world, there is violence, injustice, destruction and the abuse and taking of human life. So, what is this peace Jesus is leaving us? It is the peace that comes from truly believing that He knows us as we are at each moment of our lives and is with us in all we say, do and think each day. This thought is expressed so clearly at the beginning of each of the four Eucharistic Prayers (for Various Occasions): “You are indeed Holy and to be glorified, O God, Who love the human race and Who always walk with us on the journey of life. Blessed indeed is Your Son, present in our midst when we are gathered by His Love, and when, as once for the disciples, so now for us, He opens the Scriptures and breaks the bread.” Obviously we need to accept His invitation to be renewed by our inheritance from Him through our heartfelt participation in the Mass every week. 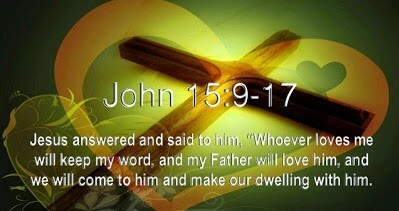 Jesus never tires of inviting us to open our eyes to His Love for us and His Presence to us. It is Jesus and our inheritance from Him, which is Jesus Himself, that lifts us beyond the confusion, challenges, and obstacles we face as individuals, families, communities, and nations. Only a nation under God can be one nation. It takes God to not only take away the confusion…but also to enlighten us with the truth of who we truly are and what we are ultimately capable of in the best sense possible. This entry was posted in Faith, Father Kevin, Reflections and tagged Believe, Catholic, Eucharist, Faith, Glory, Holy, Hoven, Jesus, Prayer, South Dakota. Those who are an intimate part of our lives dwell in our minds and hearts. They color the way we live our lives every day. When they are sick and suffering they are in the forefront of our thoughts and concerns. Their burdens become our burden. When they are celebrating achievements or special events, we are joyful with them and for them. When they are confused we look to help work out their problems and concerns and at the same time assure them of our love. It is exactly this kind of presence that Jesus promises to us in today’s Gospel when He promises to bring the Father and dwell within us. Are we aware of this presence? Do we want this presence? This entry was posted in Believe, Faith, Reflections and tagged Ascension, Catholic, Hoven, Jesus, South Dakota. Last week we celebrated Mother’s Day. As we honored one parent lst week, Jesus honors His Father this week. 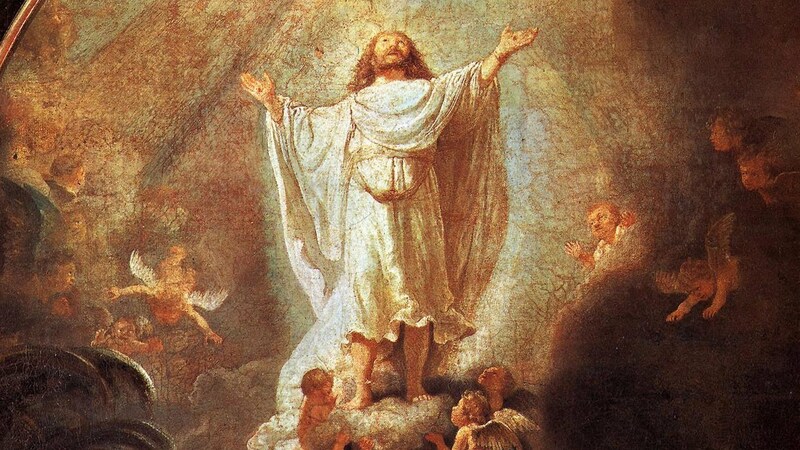 In today’s Gospel Jesus speaks about how He is going to glorify God. That glorification is seen in how He suffered the injustice of crucifixion, but rose from the dead and beyond all who tried to silence Him. He spoke (and taught) something that in the 21st century…is absolutely, politically incorrect. Saying – do what I tell you and you will be assured of being correct, and you will find an eternity of happiness. 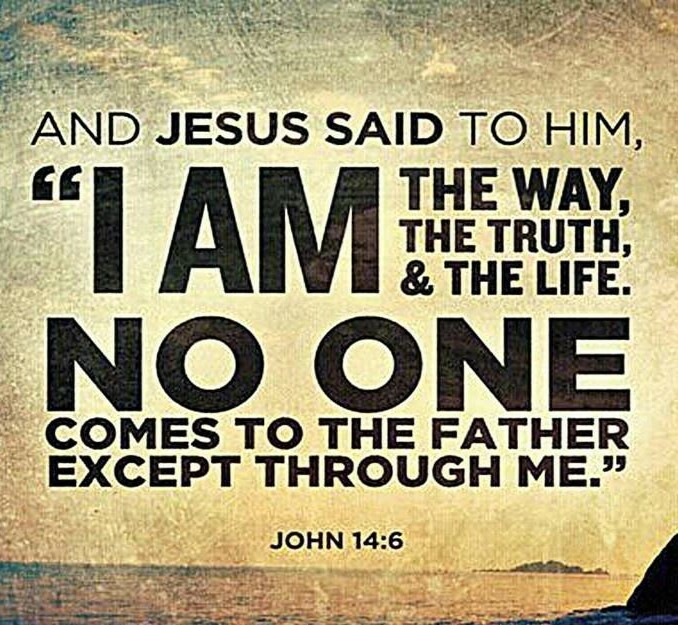 He said: “I am the way the truth and the life”. Well…who does Jesus think He is? After all…is Pontius Pilate more the model of the 21st century…when – looking at Jesus…do we say: “What is truth?” In looking at what is going on in our nation at this point and all the debates about different issues, respect for life must be at the forefront. Whenever we compromise or deny the truth, the seeds of destruction and disunity are planted. We who have the treasure of faith are not obliged to convert those who are not in agreement with us…but we are challenged to speak up for the truth about human life. There is no candidate that is perfect on this issue as far as action is concerned. Some Catholic politicians at least pay lip service…while others are clearly supportive of abortion. I am not a one issue person, but when a basic issue is ignored there will never be peace in our hearts, our nation, and in our world. To look past the issue of abortion is to allow evil to continue to destroy children in the womb and scar the hearts, minds, and souls of all those involved. How could the German people stand by and allow 12 million people to perish in the concentration camps? How can we continue to stand by as almost 60 million children have been aborted since this practice was legalized on January 22, 1973? Evil has wreaked havoc for the past 43 years. How much longer will it prosper? Who will speak up? Politicians promise jobs, reform, lower taxes, refugee programs, and the defeat of ISIS and other evils. (They speak as if they are an omnipotent God.) But wherever innocent life is attacked or threatened and nothing is done, our national spirit deteriorates. We are grateful to all veterans who have sacrificed their time and even their lives to defend who we are as Americans. Easter time energizes us to muster the courage to look at what is most important to our nation. When we glorify God by our lives as Jesus did, our national health and moral fiber are strengthened. The Resurrection of Jesus has many aspects. One of them is rising above our fears, hesitancy, lethargy, apathy, and ignorance to live and speak the truth about human life. Life is a gift from God. You who are parents have blessed your children in the God-like way you created them and continue to love and nurture them. You are more fully alive with them than you would have been without them. As Jesus is the Way, the Truth and the life…let us say: Thank you Father for the gift of life. Thank you for the gift of your Son Jesus. May my gratitude inspire and sustain me in doing everything I can to respect all people and to do all in my power to end abortion and everything else that harms, abuses, or threatens human life. Give me the courage and strength to live in your image each day. Henri Nouwen said: “Prayer is the way to both the heart of God and the heart of the world.”How blessed, challenged, grateful, and humbled we are to live in God’s world. This entry was posted in Faith, Reflections and tagged Catholic, Christianity, Hoven, Jesus, Life, South Dakota, Truth, Universal Church. Many know that I was assigned to St. Sebastian Church back in Connecticut when I was a deacon. It was a predominately Italian parish. (And, yes there is a difference.) I would visit and bring Communion to an elderly Italian lady who lived to be 102 years old. Every time I visited her one of the first questions out of her mouth with her heavy Italian accent was: “How’s your mother?” That was quickly followed by these words from her: “Nobody loves you like your mother!” Today we celebrate Mother’s Day. It is a special day to do what we actually do each time we see or think about our mothers – to give thanks for the life they have given us and their continued maternal love. Whether we are children or adults, whether our mothers are living or deceased…we have the gift of life because they carried us in their wombs and nurtured us as children. There is another Mother I honor every day as well – Mary. As He was dying on the cross Jesus said to St. John and to all of us: “Son there is your mother.” Jesus knew the love of His Mother. She conceived Him miraculously in her womb through the power of the Holy Spirit. As she anxiously searched for a place to give Him birth which we know was a stable, she had the joy of seeing the wonder and awe of the shepherds who responded to the announcement to them by the angels and went and saw the newborn Christ Child. What wonder she must have felt when the Magi came, who prostrated themselves in gratitude, and offered their gifts of gold, frankincense, and myrrh. Forty days after His birth, she and St. Joseph presented Him in the temple. There she heard the heartfelt words of the old man Simeon, who recognized the gift of God Himself in the child Jesus. He also foretold the sorrow His Mother Mary would experience when he said: “Behold, this child is destined for the fall and rise of many in Israel, and to be a sign that will be contradicted (and you yourself a sword will pierce) so that the thoughts of many hearts may be revealed.” (Luke 2:34-35) Like every mother, Mary knew the joy of her Son’s goodness and love for herself and others. She also knew the pain when He was rejected. But her love for her Son did not make her bitter, angry, or doubtful when others attacked, betrayed, or abandoned Him. Just as she trusted that she would conceive Jesus in her womb by the power of the Holy Spirit, so she stood at the foot of the cross with hope and trust in God. We also have the blessing of belonging to and being part of Holy Mother Church. As Catholics we are a living, life-giving part of the Body of Christ on earth. Once we receive life from the Church we make the Church a powerful source of love, hope, healing, and assistance as individuals and as a community of believers. On a local level in the parish, most are fed weekly by God’s Word and Presence at Mass. (Some are able to be nurtured at our daily Masses.) When we fail because of human weakness and sinfulness, we are renewed, refreshed, and forgiven in the Sacrament of Penance. People who are sick or going into the hospital for surgery or other medical procedures are anointed with the oil where Jesus and His healing presence are encountered in the Sacrament of the Sick. We celebrate weddings, joining couples together in a bond of love that mirrors Jesus’ love for the Church. At funerals where we come together in sadness, compassion, love, and hope to pray for those who have died and to pray for and with their families and friends. We educate our children in the religious education programs. The Treasure Hut in Hoven reaches out to so many people who have a great number of different needs. Yes, Holy Mother Church is a powerful source for nourishment to thousands of people because together we are a Parish Family. 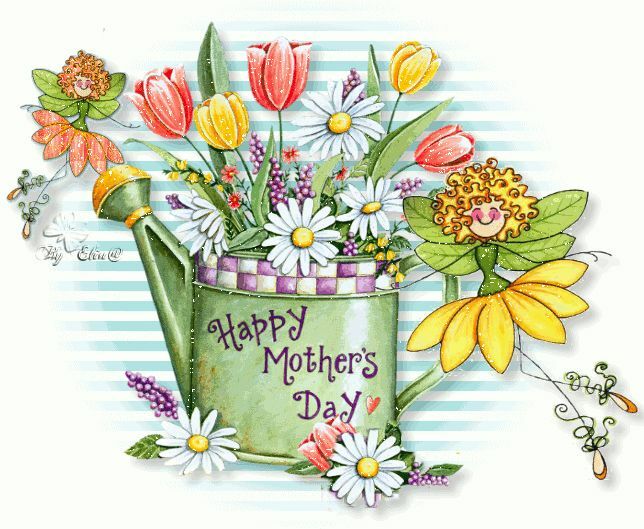 I wish all mothers a Happy Mother’s Day. May God bless you for the life, love and goodness you have so generously showered upon us. Along with the Blessed Virgin Mary…you are signs and sources that encourage all of us to be good, loving, generous, life-giving members of Holy Mother Church. This entry was posted in Faith, Father Kevin, Reflections and tagged Catholic, Forgiven, Hoven, Jesus, love, Mother's Day, Penance, South Dakota, St. Anthony of Padua.